Impacted wisdom teeth, overcrowding, or a decayed tooth are all instances in which you need oral surgery. 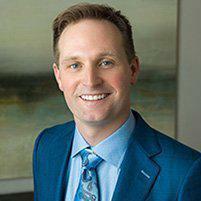 Scott Young, DDS in The Woodlands, Texas, is a graduate of the Las Vegas Institute for Advanced Dental Studies, one of the most renowned cosmetic dentistry schools in the world. He has performed over 15,000 cosmetic restorations, many of which require expert oral surgery procedures. If you need an oral surgeon and an expert dental team that treats you as part of their extended family, call the office of Scott Young, DDS or schedule a consultation online today. Oral surgery can correct many different dental problems and help you have a healthier mouth. Will I need anesthesia for oral surgery? Depending on your procedure, you may need a local anesthetic to numb the specific area of your mouth where the oral surgery is needed. Or, if you’re having a more complicated or lengthy procedure, you may need general anesthesia. Dr. Young and the team explain your procedure and your anesthesia options ahead of time so you know what to expect.  The team at Scott Young, DDS also offers sedation dentistry to help you stay relaxed or sedated if you’re nervous about an upcoming oral surgery procedure. What is recovery like after oral surgery? Everyone is different, and each procedure is unique to your mouth, but you can expect swelling and bleeding following a tooth extraction for up to 24 hours after surgery. You may also feel some discomfort depending on the extent of the procedure, and your dentist provides any necessary pain management prescriptions to help you stay comfortable as you recover. Plan to rest and recover after your oral surgery procedure, and don’t do any strenuous activity. You should be able to return to your normal daily activities within 48 hours, but Dr. Young provides you with specific recovery instructions after your particular surgery. As your mouth recovers, you’ll also follow a gentle oral hygiene plan to keep the treated area clean. You should avoid vigorous rinsing and spitting in the first 24 hours so as to not disrupt any stitches or the early stages of healing. If you’re concerned about an oral surgery procedure, rest assured that at Scott Young, DDS, you receive the highest standard of care from one of the most qualified dental teams in The Woodlands or the surrounding areas. Call the office or schedule a consultation online today.